The 4 Hottest Shoes at the New York Premiere of "The Heat"
Star lead, Sandra Bullock, as well as other cast members and guests, walked the red carpet at the Ziegfeld Theatre on June 23 for the New York premiere of the crime-action-comedy film The Heat, which is scheduled to be released in the US on Friday, June 28. At these kinds of events, we’re always on the lookout for some stunning shoes. Lucky for us, we spotted four pairs, including Sandra’s Bottega Veneta sandals. The 48-year-old actress’ stunning shoe streak continues with her Bottega Veneta sandals. We’ve already featured her here thrice in the past two weeks as she was seen in incredible shoes while she was in Europe. And now we’ve spotted her sporting another pair of strappy heels. Looks like someone’s into gladiator sandals these days, huh? This time, she was wearing Bottega Veneta, along with her leather dress by Ermanno Scervino. The sandals feature a crisscross strap design with double buckle-fastening ankle straps that can also be crossed for style variation. The iconic butterfly design is also seen in these sandals. Check out the patchwork detail on the back heels! These sandals are very interesting, not only because of the multistrap design but also because of the butterfly detail. Bold, right? But would you wear them? Zosia Mamet, who stars in the HBO series Girls, was simple in a white shirtdress. While there’s nothing fancy from her leg up, her feet are wrapped in interesting flats by Tabitha Simmons. 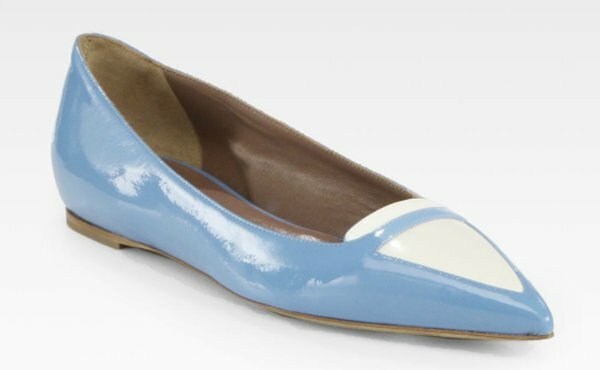 They are made of glossy patent leather in a dominant blue shade with the elegant pointed toes covered in white. These bi-colored shoes gave vibrancy to her otherwise dull look. Love her flats? They are on sale now and are available in two versions at Saks. We haven’t seen Brooke Shields on the red carpet in quite a while now, so we were interested to see her recent red carpet ensemble. Well, she was very classic, which isn’t surprising. She was wearing a black sequined dress paired with black sandals. We do love her heels, though. 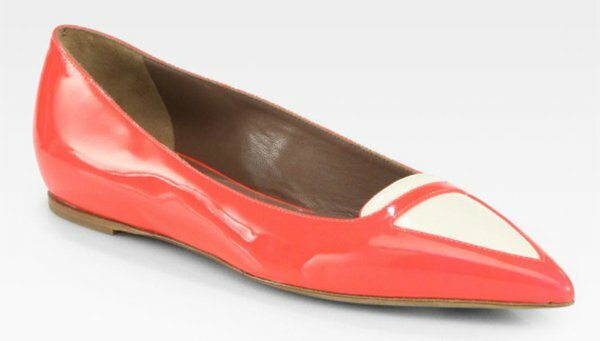 They’re a minimalist pair of leather pumps with sleek tapered pointed toes. They also have ankle straps, which are fastened using Velcro instead of buckles. Her pumps are already sold out everywhere, including at Shopbop. Smash actress Megan Hilty looked chic and flirty in a sleeveless dress with lace and mesh details. She’s probably one of the best dressed at the event, and her caged heels added edge to her look. 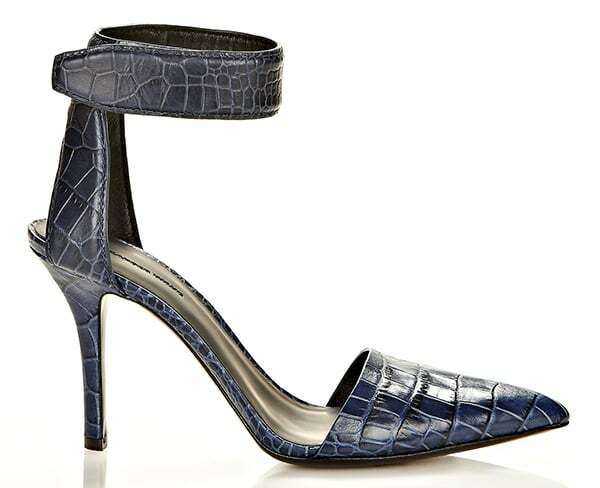 They’re made of suede and feature peep toes and cutouts. Can you ID them?